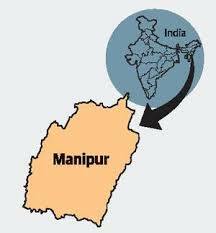 The government has extended the ban on eight extremist groups in Manipur for five more years under the Unlawful Activities (Prevention) Act. The organizations banned are Peoples’ Liberation Army (PLA), Revolutionary Peoples’ Front (RPF), United National Liberation Front (UNLF), Manipur Peoples’ Army (MPA), the Peoples’ Revolutionary Party of Kangleipak (PREPAK), Kangleipak Communist Party (KCP), Kanglei Yaol Kanba Lup (KYKL) and the Alliance for Socialist Unity Kangleipak (ASUK). In a gazette notification, Home Ministry said, the activities of these Extremist Organisations are considered detrimental to the sovereignty and integrity of the country and they are unlawful associations. The Ministry said, these organisations were involved in 756 violent incidents for the last five years.